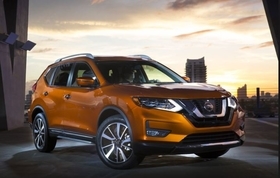 Nissan Canada is recalling more than 90,000 Rogue crossovers because their automatic emergency braking (AEB) system could unintentionally engage. The 90,792 affected vehicles are from the 2017 and 2018 model years. Transport Canada warns on its website that a metal structure, such as a railroad crossing or overhead sign, could cause the vehicle to brake. If that happens, the system would provide a collision warning. If the driver takes no action, the vehicle could slow suddenly or come to a complete stop. Meanwhile, the U.S. National Highway Traffic Safety Administration has opened a probe into potential unintended braking in 675,000 2017-2018 Nissan Motor Co. Rogue crossovers, the agency said in a statement on Friday.